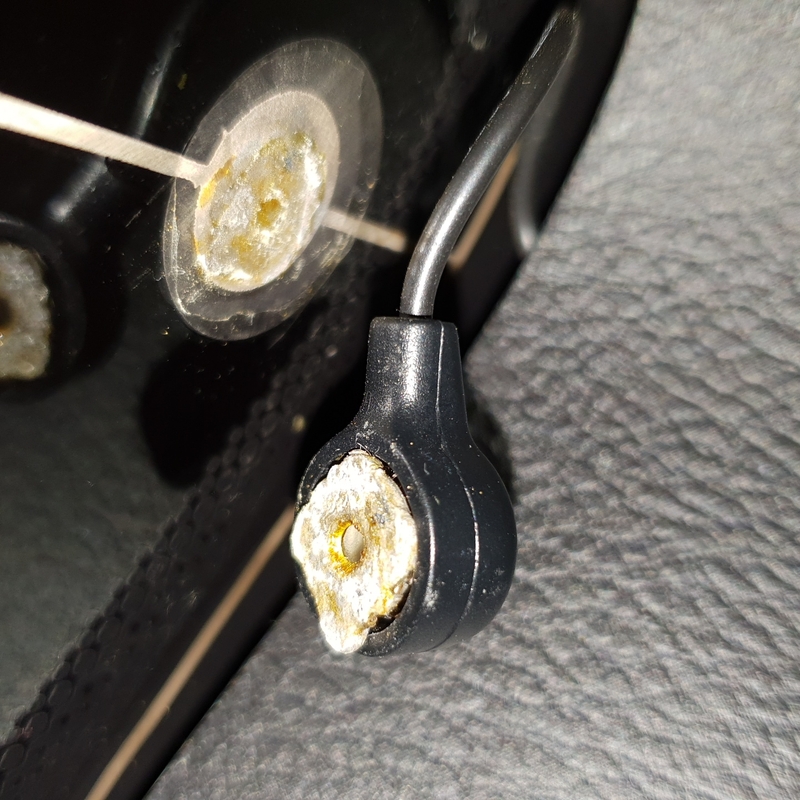 Was cleaning the windows on the car the other day and bumped the on glass antenna connector – knocked it straight off with barely a touch! Made many enquiries and most ended up saying sorry, no fix. Dealer suggested trying a window replacement place, they were no help, only option suggested was to replace the whole window with a new one with the connector still soldered on! Yikes! 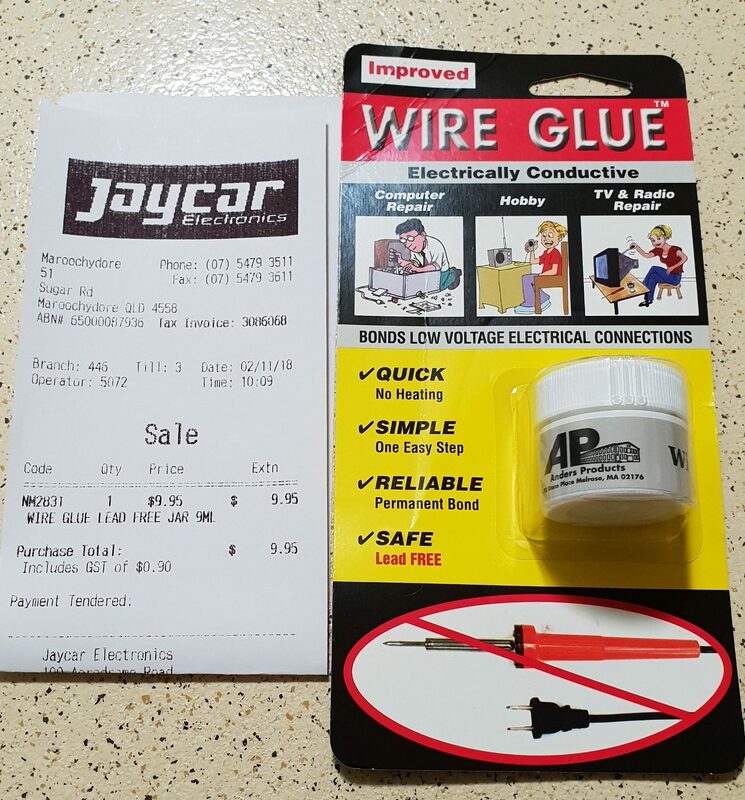 Did some searching and found a product called “wire glue”. Its a black glue of some sort mixed with graphite. The idea of it is to permanently join two wires without solder – ie, twist the wires together then drizzle some glue over them. $10 for a tub with enough glue to fix 1000 broken connectors! It will now sit in the shed with all the other specialty glues. I popped the on glass part out of the connector (it’s a bit like a snap button on clothing) then gave it a light filing where the old solder was to clean it up, a light scraping on the copper on the window where it was soldered, cleaned both with some methylated spirits and glued it on! Held in place with masking tape over night as the instruction suggest, tested it today and holding strong and working perfect! Not sure it would work for a rear window demister due to the current they draw, but perfect for a broken on glass antenna.